How do I setup a User to assign Apps? How to I assign Apps to a User? A. How do I setup a User to assign Apps? Select a site from the list on the left. The My Site dashboard appears displaying quick links. Select the Add/Modify User quick link. 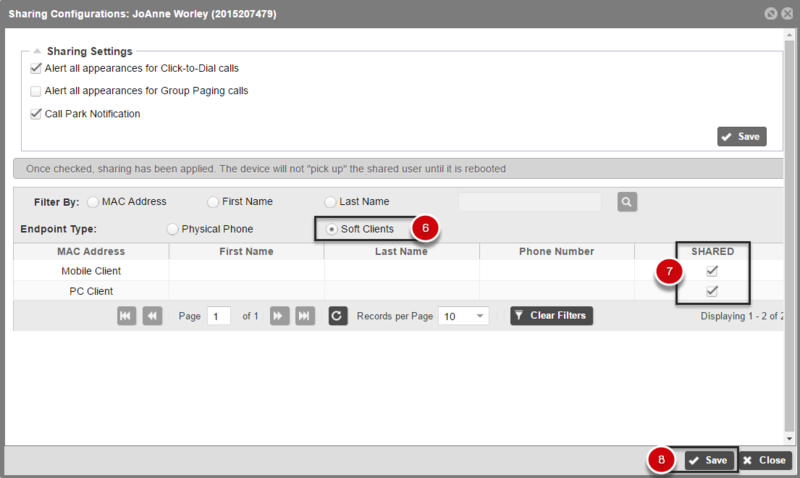 Double Click on the User you would like to assign UC-One clients to. Select the User Info tab. Enter the User’s Extension. By default, it will be the last four digits of the assigned phone number. The extension can be 2 – 6 numeric digits. Enter the User ID. 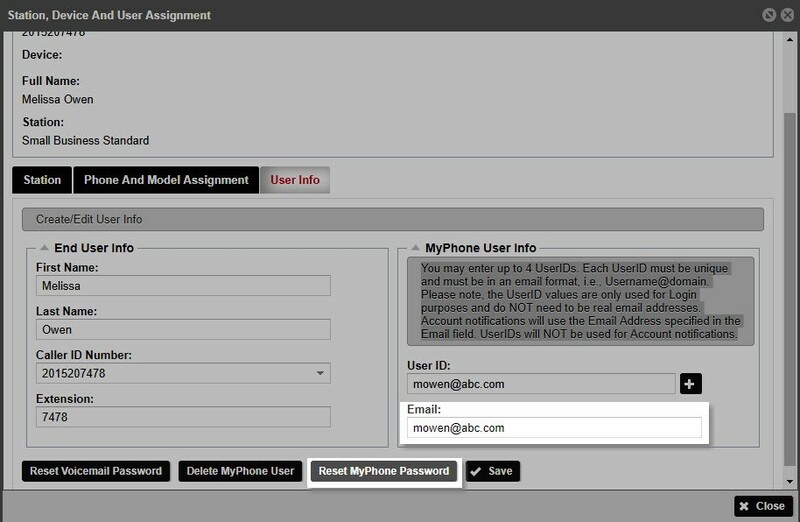 The user will use this to log in to the My Phone portal. Please Note: You may enter up to 4 UserIDs. Each UserID must be unique and must be in an email format, i.e., Username@domain. Please note, the UserID values are only used for Login purposes and do NOT need to be real email addresses. Account notifications will use the Email Address specified in the Email field. UserIDs will NOT be used for Account notifications. Once the User is saved, select Reset MyPhone Password. The User will receive two emails. One will contain their My Phone Password credentials and the other will contain their MyPhone login User ID. 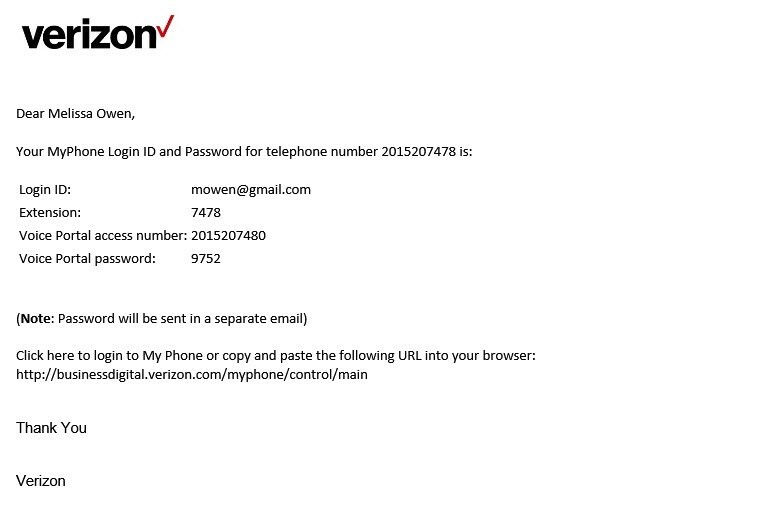 They will need these credentials in order to login into My Phone to download the clients. B. How to I assign Apps to a User? C. How do I download the Apps? 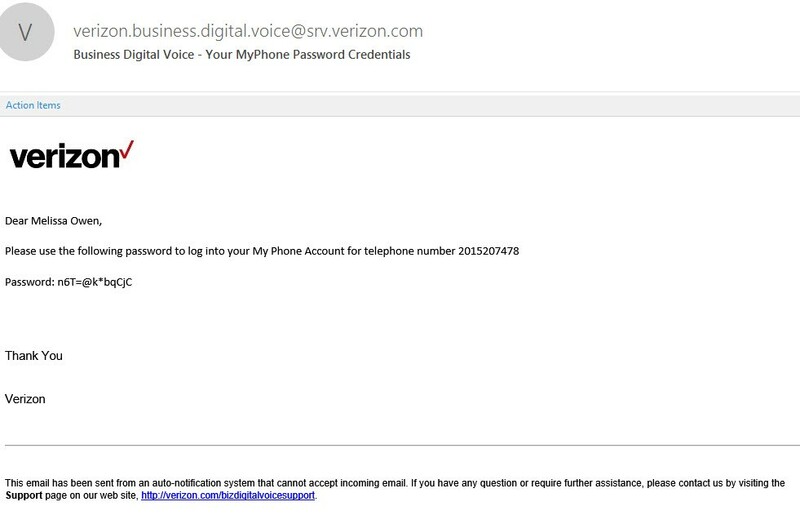 You will receive an email indicating you were given access to the Desktop Softphone. Click the My Features tab at the top of the screen. Click Desktop Softphone on the menu on the left. The Desktop Communicator Downloads screen appears. Click Download. The setup wizard pop-up appears. Click Run or Save and follow the instructions. Launch Virtual Communications Express Desktop Softphone. Copy the application to the Applications folder. The first time you launch the Desktop Softphone you are prompted to sign in. You can choose to sign in automatically after initial sign in. Enter the user name and password for the Desktop Softphone. Refer to Section A for the User ID and password. Check Remember password if you do not want to enter it every time you log in. Check Sign in automatically if you want Virtual Communications Express Desktop Softphone to automatically sign in on subsequent launches.